He aha te mea nui – He tangata, he tangata, he tangata…. As the above whakatauki (maori proverb) purports, it is ‘Our People’ who really give us our USP in our business so it is with pleasure that we welcome several new Kaiarahi (host-guides) to our whanau business. In the past few weeks we have added two brand-new Mercedes luxury vehicles to our fleet of “TIME machines”. We can proudly welcome 2 new Mercedes V-class, a 7-seater and a 6-seater. All our guests are hosted in our Mercedes luxury vehicles, currently consisting of 4, 5, 6, 11, 15 and 19-seaters to accommodate a great variety of luxury touring requirements. See the famous Hobbiton Movie Set on this private tour starting in Auckland and ending in Rotorua. Hobbiton Movie Set is located in an idyllic landscape with sheep farms and wonderful views. 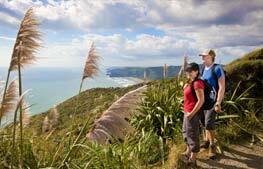 Includes pick up from Auckland central, all transport, a fully guided private luxury tour and snacks. It was a proud and humbling moment for us in Berlin/Germany a few weeks ago. Our Co-Founder & Co-Director Neill Sperath accepted our overall win at the National Geographic World Legacy Awards in the "Sense of Place" category on behalf of our wonderful team at ITB, the World's largest tourism trade fair. TIME Unlimited Tours was one of 5 winners and the only one from Australasia out of 150 entries, representing 51 countries and 6 continents from around the world." The National Geographic World Legacy Awards Presentation was live streamed from Berlin around the world and Neill took the opportunity to say a few words in front of around 1,000 attendees during the ceremony plus many more on live stream. 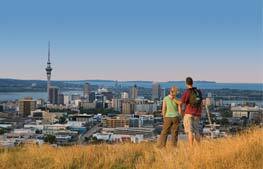 Optimise your time in Auckland by combining a Private Tour with an airport transfer to or from Auckland Airport. This premium service can be booked to fit with your flight times, so that you can explore Auckland on an exclusive tour personalised to your interests. Be greeted by our experienced Kaiarahi (host-guides) with a warm Kiwi welcome from your incoming flight or enjoy a tailored tour to work in with your departing flight. We have ordered another two amazing Mercedes luxury vehicles for delivery in a few months in time for this upcoming summer season to keep up with bookings. Learn more about these luxurious and comfortable vehicles. 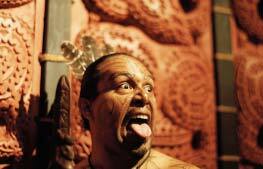 Please take two minutes out of your day to learn more about New Zealand and TIME Unlimited Tours. We promise you will enjoy it! Romeo is a Philippine-born Kiwi who spent most of his early career as an exploration geoscientist working around the world. New Zealand, one of the most geologically interesting places on earth, provides a natural habitat for a person who loves to share his passion for the land and its people to New Zealand travellers. There is nothing more energizing than thousands of passionate tourism professionals under one roof! Please come and say hello to us in the Auckland section at TRENZ this week. Due to continued growth, we are seeking exceptional Tour Driver-Guides (Kaiarahi). We are seeking team players who can act as ambassadors for Auckland, New Zealand and our company. As one of New Zealand’s most awarded and internationally-acclaimed tourism businesses, we are looking for exceptional team members who share our passion for this great land. The Viator 2017 Travel Award recognises top customer ratings, distinguishing TIME Unlimited Tours as an outstanding provider for the world's leading tours, activities and attractions booking platform. Experience our specialized service on our 3-Day Private Tour from Auckland or Rotorua to Coromandel Peninsula. Within a 2 ½ hour drive from Auckland in one of our luxurious Mercedes vehicles you will arrive in the beautiful coastal region of Coromandel Peninsula. During the drive you will see the diverse nature of New Zealand, passing the vast and rich Hauraki Plains, golden sand beaches and rolling surf. In Coromandel you will have the opportunity to enjoy various activities and explore the famous Cathedral Cove. 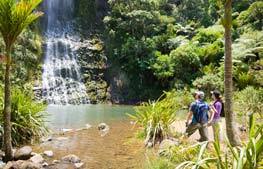 Experience the beautiful coastal region of Coromandel Peninsula, within a 2 ½ hour drive from Auckland. During the drive you will see the diverse nature of New Zealand, passing the vast and rich Hauraki Plains, golden sand beaches and rolling surf. In Coromandel you will have the opportunity to enjoy various activities and explore the famous Cathedral Cove. In the past months, we welcomed Peter Foster and Hazel Shuttleworth to our wonderful team. Both are already well known in the tourism industry and for roles within NZ business in other aspects of their successful careers. 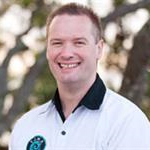 They have added yet another dimension to our great team of guides and we look forward to introducing them to many of our partners in due course. What makes your time with TIME Unlimited Tours unique? Our Most Frequently Asked Question is ‘What makes your time with TIME Unlimited Tours unique?’ New Zealand now presents many tour options and for us we have positioned ourselves in the areas of luxury, culture & eco-tourism. Within easy reach of Downtown Auckland, Matakana is another special region with its spectacular Hibiscus Coastline and fertile countryside areas. Matakana is home to some of the best kept secrets that the Auckland region has to offer. Matakana is fast becoming one of the favourite destinations for locals and visitors to Auckland. In the past couple of weeks we have added another two brand-new Mercedes luxury vehicles to our fleet of “TIME machines”. We host our guests in various top-end Mercedes luxury vehicles, such as Mercedes 4WD for couples, Mercedes 6 seater vans, Mercedes 11 seater vans and large Mercedes Sprinters, which can be used as 15 or 19-seater vehicles to accommodate a variety of touring requirements. 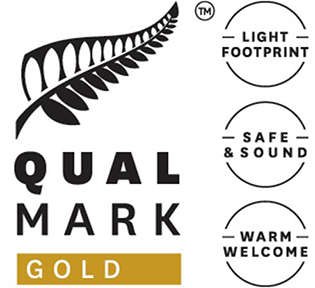 TIME Unlimited Tours is proud to have retained Qualmark Gold level of certification under the updated Sustainable Tourism Business criteria. The Qualmark Sustainable Tourism Business Awards recognise those businesses that go beyond the benchmark.